Cover of Stages #0: The Banff Report, image Fiona McDonald, Residual Time-01, cut-away postcard on card, 2013. Courtesy of Liverpool Biennial. In December 2013 Liverpool Biennial launched Stages, an online journal that addresses new possibilities for the relationship between art, urbanism, and pedagogy from the point of view of the city. It acts as a public space for the free circulation of ideas, texts, and conversations that are taking place between artists, thinkers, and practitioners from different cultural fields. The journal commissions new writing and in-depth curatorial research and includes outcomes generated by the Liverpool Biennial Public Programme. Each issue has acted as a container to interrogate current curatorial processes and thinking. Since its inception, Stages has included contributions from forty-two renowned practitioners in the fields of art, architecture, and visual culture as well as recipes from Homebaked bakery. 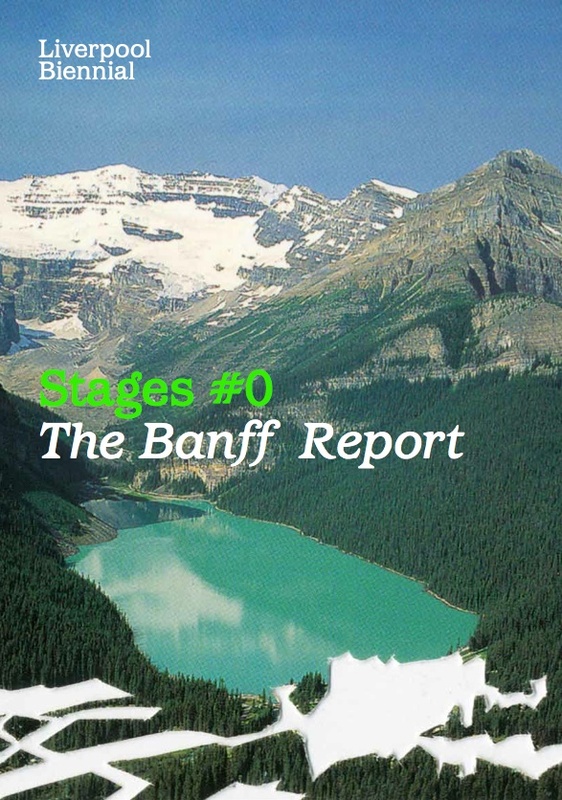 Issue zero of Stages, The Banff Report, presents a portfolio of thinking that emerged from the Banff Research in Culture (BRiC) residency titled "Dock(ing); or, New Economies of Exchange". Issue one of Stages, Future City, presents insights, propositions and interventions produced during a year-long partnership between Liverpool Biennial and Mathaf: Arab Museum of Modern Art. 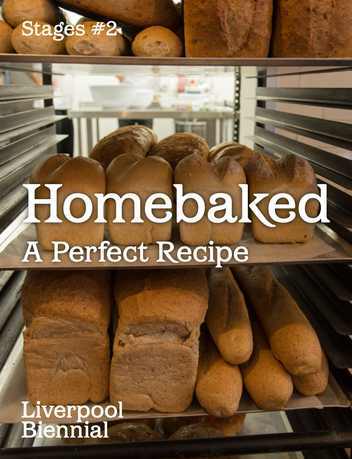 By utilising the format of a recipe book, issue two of Stages, Homebaked: A Perfect Recipe, seeks to address the question: what ingredients does one need to cook up a revolution? Can a recipe be a formula for a public space? 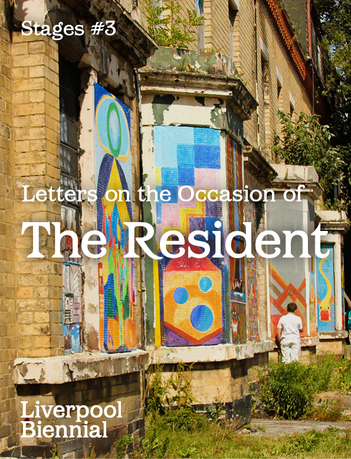 Consisting of a series of letters and using the state of housing in the district of Toxteth, Liverpool 8, as its starting point, issue three of Stages considers how Liverpool Biennial might inhabit the city in more significant ways. Rosie Cooper is head of programs at Liverpool Biennial and is the coeditor of Stages. She was public program curator at Barbican Art Gallery from 2009 through 2011. Current and previous projects include Bob Jubile (2011–), a series of events, displays, and publications on poet and organiser Bob Cobbing (1920–2002), curated with William Cobbing, culminating in Boooook (Occasional Papers, 2015); More Soup and Tart, Barbican (2011), and Tableau Vivant: A Wandering Retrospective, Prospect New Orleans (2010). With Ariella Yedgar, she organizes a cross-disciplinary commissioning project called Out of Focus. Vanessa Boni is a curator and editor. She was the public program curator at Liverpool Biennial 2012–2015. Since completing her MA in curating contemporary art at the Royal College of Art she was assistant curator at Galerie für Zeitgenössische Kunst, Leipzig and the Serpentine Gallery, London as well as developing independent curatorial projects. As an editor she has produced on the following publications: Scenarios about Europe (Jovis, 2011), Europe (to the power of) n (Jovis, 2013), Hardcover Image Perspectives (Blackdog Publishing, 2011), Shadowboxing (Royal Collage of Art, 2011) and Gossip Scandal and Good Manners (Carrion Press, 2010). Ellen Grieg is a curator and writer. She was an assistant curator of Liverpool Biennial 2014 and assistant editor of Stages #1 and Stages #2. In 2008 she cofounded the curatorial organisation FSP where she cocurated exhibitions and live art projects. She was employed as curator at Jotta (2009–11), an art and design organisation founded within the University of the Arts London. In 2013 she received an MA in curating contemporary art at the Royal College of Art, London where she was awarded a distinction. She has worked as a visiting lecturer at COFA, UNSW, and National Art School, Sydney. 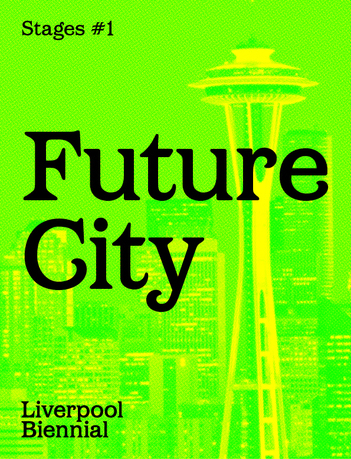 Joseph Grima is an architect, editor, writer, and curator. He was the editor of Domus, the internationally renowned magazine of contemporary architecture, design, and art founded by Gio Ponti in Milan. Previously Grima was the director of Storefront for Art and Architecture, a nonprofit gallery and events space in New York City devoted to the advancement of innovative positions in art and architecture. His work has been presented at the Venice Architecture Biennale, Experimenta, and the New Museum of Contemporary Art, New York, among others, and he was the curator of the Istanbul Design Biennial 2012. Grima is a senior lecturer at Liverpool John Moores University, a joint appointment with Liverpool Biennial, focusing on architecture and urbanism. Imre Szeman is Canada Research Chair of Cultural Studies and a professor of English and film studies at the University of Alberta. His recent books include After Globalization (with Eric Cazdyn; Blackwell/Oxford, 2011); Contemporary Literary and Cultural Theory(coeditor; Johns Hopkins University Press, 2012); and the third edition of Popular Culture: A User's Guide (with O'Brien, Nelson, Scarborough; Nelson Education Ltd, 2010). His main areas of research are social and cultural theory, globalization and culture, and popular and visual culture. Sally Tallant, commissioning editor, is the director of Liverpool Biennial. From 2001 through 2011 she was head of programs at the Serpentine Gallery, London where she was responsible for the development and delivery of an integrated program of exhibitions, architecture, education, and public rograms. She has developed commissioning programs for artists and long-term projects including the Edgware Road Project, Skills Exchange, and Disassembly. She has also curated performances, sound events, film programs, and conferences including initiating the Park Nights series in the Serpentine Gallery. She is a regular contributor to conferences and publications, nationally, and internationally. Dominic Willsdon is an educator and curator. Since 2006, he has been Leanne & George Roberts Curator of Education and Public Programs at the San Francisco Museum of Modern Art and an adjunct professor in curatorial practice at the California College of the Arts. He is also a curator of the 9th Mercosul Biennial in Porto Alegre, Brazil opening in September 2013. From 2000 to 2005, he was curator of public programs at Tate Modern. He is a former editor of the Journal of Visual Culture, has written on visual culture, politics, and education, and is coeditor of The Life and Death of Images: Ethics and Aesthetics(Cornell University Press, 2008). He is also a visiting research fellow at the Institute for Modern and Contemporary Culture, University of Westminster, London. Willsdon is the curatorial correspondent for pedagogy at Liverpool Biennial, and is part of the Liverpool Biennial 2016 curatorial faculty. Liverpool Biennial, founded in 1999, commissions and presents work by leading international contemporary artists, architects, designers, writers, and performers. Every two years, Liverpool is host to the largest visual arts festival anywhere in the UK. The biennial is underpinned by a continuous year-round public program that includes research, talks, events, education, online activities, long-term commissions with artists in specific neighborhoods, and permanent artworks in public spaces.